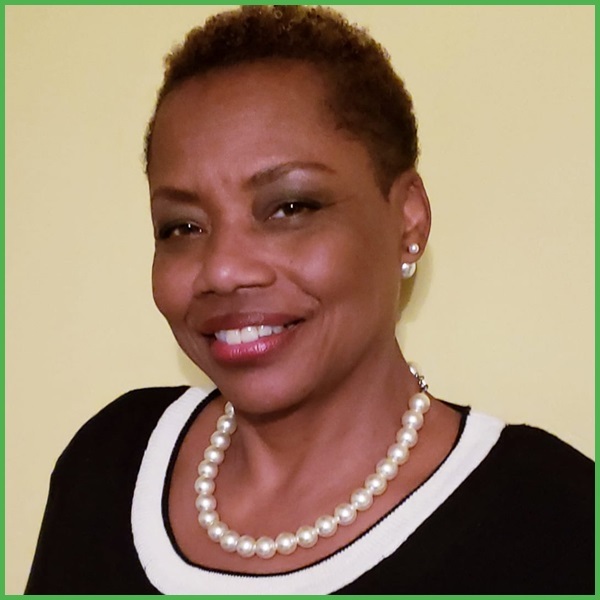 Robin Perrt-Smith, MHA, is the Education Manager for the Centers for Medicare & Medicaid Services' Person and Family Engagement (PFE) Initiative at the Keystone Peer Review Organization. In this spotlight, Robin discusses why she joined the Health Care Education Association (HCEA) and one of her greatest career achievements. I joined HCEA in May 2018. Why did you want to become a part of HCEA? I wholeheartedly agree with the HCEA mission to advocate for evidence-based health education tools/strategies for patients and consumers, and to promote optimal health by working with health care professionals to build knowledge, networks, and partnerships. I work for Keystone Peer Review Organization, a diversified healthcare information company that emphasizes excellence in customer service. KEPRO is committed to continuous quality improvement in health care through the provision of innovative products and services. KEPRO is the Medicare Quality Improvement Organization, working to improve the quality of care and health outcomes for Medicare beneficiaries in more than 30 states. KEPRO works under contract to the Centers for Medicare & Medicaid Services, an agency of the U.S. Department of Health and Human Services, implementing various initiatives. I serve as the Education Manager for the Centers for Medicare & Medicaid Services’ Person and Family Engagement [PFE] Initiative. The mission of KEPRO’s PFE project is to bring providers and beneficiaries together to improve healthcare for people with Medicare. Its focus is to help beneficiaries take an active role in their treatment and to better understand their healthcare. Likewise, we help providers use a person-centered approach to deliver the best possible care. My responsibilities include planning, developing, facilitating, and evaluating education programs for providers and clients as well as develop, implement, and administer training courses, workshops and webinars. “Health education is a combination of learning experiences designed to help individuals and communities improve their health, by increasing their knowledge or influencing their attitudes” according to the World Health Organization. I fell in love with wanting to help people in 5th grade after reading about Clara Barton and becoming a community health advocate after cancer consumed my mother at the age of 32. Starting out as a ‘candy-striper’, working as a nurse’s aide, serving as a nurse and now a health educator, I’ve experienced that the average person does not comprehend how to navigate the health care system especially within communities of color. With two decades serving and leading community health initiatives within the academic and non-profit sectors, it’s imperative how education is provided in Culturally Diverse Environments. So with my wide range of experience of developing, implementing and evaluating health education programs, it’s vital to engage the target population at every level. My driving purpose is to enable lay community members to be their own self advocate by improving the health of communities through excellence in health education and health promotion interventions utilizing evidence-based approaches and community-engaged methods. My greatest achievement comes from the ‘Bridging the Gap from Research to Community’- each time a health education program is developed and deployed to the target community and received by the target population. For each health education platform is an opportunity to impact and serve the community by improving their quality of life through excellence in community-engaged initiatives utilizing research methods along with evidence-based practices. My knowledge of supporting research, such as community-university partnerships, that is person-centered helps me to educate, strengthen and empower individuals as well as communities to improve their health, by increasing their knowledge or influencing their attitudes. One example is the Penn State Harrisburg Community Cancer Network https://www.pennstatehershey.org/c/document_library/get_file?uuid=57e6007b-066f-4448-8897-62b1a32edab9&groupId=101847. There is great fulfillment in empowering individuals and communities live healthy lives. I would be excited to see more work and information on community-academic partnerships highlight community-engaged and community-based participatory approaches to research. This goes back to improving quality of life one person or community at a time-Bridging the Gap from Research to Community. In my experience working as a consultant, academic researchers are great at doing the literature review and writing the grant but still do not grasp the concept of working together with their target population to obtain positive and tangible outcomes, and provide sustainability of the research and/or program. I believe it would be a great addition to the Educational Tools as a continued conference topic. I’m anxious to learn about patient education and conference planning. The knowledge among the members of HCEA is significant to the field! Every human being has the right to take charge of their own health by being their own self-advocate. To improve health outcomes, health education is one strategy in providing learning experiences on heath topics that provide knowledge and support behavior change. With that, it’s good to know that HCEA is an organization to learn best practices as well as lesson learned from members who represent many facets of patient and consumer education across many models of care.